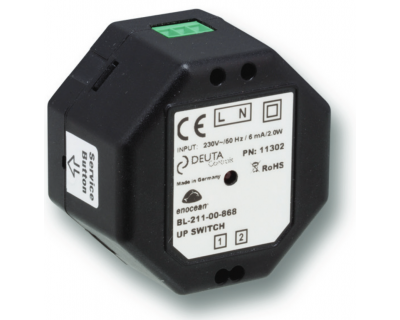 Deuta Controls GmbH offers high quality products such as gateways or als called EnOcean-DALI-Controller. EnOcean DALI Gateway Flex, controll / dim your DALI luminaires via EnOcean radio. Integrated DALI power supply! for DALI control via EnOcean radio. Inexpensive starter set. Everything in it. EnOcean DALI controller BL-202-10-868 EVG FLEX for luminaires and profiles. DALI Master with DALI PS for 15 slaves. to control / dim your DALI luminaires via EnOcean radio. Integrated DALI power supply!